Vape South America Expo Medellín 2019 - Join us at our third South American vape expo in Medellín, Colombia. We expect this years event to be our largest to date, as well as the highest attended vape show of 2019. Vape South America Medellín is expected to host over 10,000 consumers, 2,000 wholesale buyers & 100+ exhibitors. Join us in the beautiful & historic city of Medellín, Colombia for Vape South America. Make memories with your team by going sightseeing, partying and to tourist spots. Why Attend Vape South America Medellín? We strive to provide our attendees a top notch experience, and our sponsors & exhibitors with an easy, stress-free trip to Vape South America. 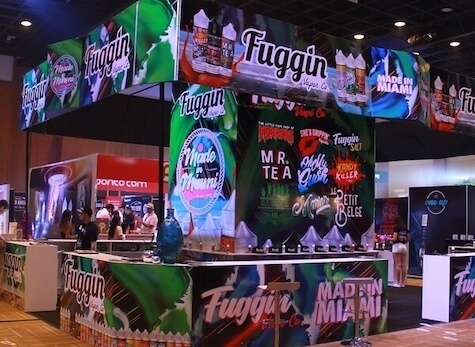 We organize many activities at our vape events/vaping conventions, including cloud & trick competitions, raffles, giveaways and live entertainment. Vape South America is an annual Central and South American vape convention organized by VapeConventions.com. Our Company hosts vaping expo events in countries around the world. Our goal is to grow and expand the vaping industry and its unique culture in areas where there is a high demand for tobacco alternatives, as well as areas that haven't yet been exposed to electronic cigarettes. For example, before our first Vape South America Expo in summer 17’, there were around 20-30 vape shops in Medellín, Colombia and a total of 4,257 businesses and consumers attended our show. 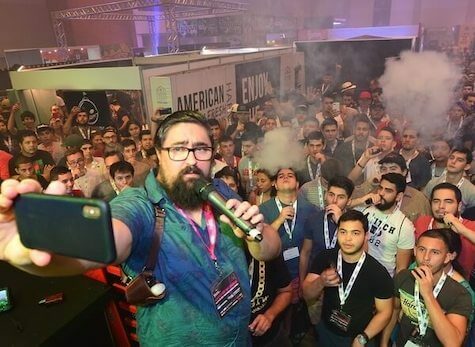 When we hosted our 2018 Vape South America only 9 months later, over 10,000 consumers and businesses attended, and the number of shops more than quadrupled to around 150. Vape South America 2019 in Medellín, Colombia is brought to you by VapeConventions.com - One of the largest International Vaping Event Organizers in the industry. Like and Follow Vape South America’s social media pages to keep updated on the latest expo news, info, upcoming vape events & more! Our company VapeConventions.com is an international trade show organizer that hosts vaping expos/vape conventions in countries around the world. Our goal is to grow the vape industry and its culture in areas with a high demand for tobacco alternative products, as well as areas that haven't yet been exposed to these products. This gives our exhibitors and sponsors the opportunity to expand their business and be first to market internationally.